What is SALSA plus Beer? With nearly 1500 breweries now producing beer in the UK there is a bewildering choice for the retailer whether they are a supermarket, off license or pub group. The SALSA plus Beer accreditation gives the buyer confidence about the product they are buying and is of significant commercial advantage to brewers who are able to use this certification as part of their sales presentation. One nationally recognised certification scheme for small-medium breweries, recognised by retailers. Focussed on small to medium sized breweries and tailor made for their requirements unlike the more widely known BRC scheme. Auditors are highly qualified and fully understand the brewing process. The scheme is under the SALSA umbrella which already has credibility in the retail sector. Brewers with the certification have simpler access to market as they have proved their quality. There are significant commercial benefits to those breweries with the certification as it is a recognised quality mark. The scheme offers a mentoring service to support brewers in gaining the certification. The SALSA standard was written by experienced food safety experts to reflect both the legal requirements of producers and the enhanced expectations of ‘best practice’ of professional buyers. SALSA plus Beer is the main SALSA food safety audit plus an extensive module on brewing, created by SALSA and Cask Marque. Approval certification is only granted to suppliers who are able to demonstrate to a SALSA auditor that they are able to produce safe and legal beer and are committed to continually meeting the requirements of the SALSA plus Beer standard. Below is a list of brewers who have gained the SALSA plus Beer certification. At the bottom we also list those brewers holding BRC and ISO certifications. Black Isle Brewery Co. Ltd.
What is SALSA plus Beer and why do I need it? What is SALSA plus Beer audit certification? Buyers and consumers expect their drink to be safe and for those who produce it to have robust andeffective controls in place to ensure this. The SALSA Scheme operates and oversees the SALSA plus Beer audit certification and its process. A successful SALSA plus Beer audit, the certificate confirming Approval and display of the SALSA-APPROVED stamp instantly tells all in the industry that your brewery/bottling plant is committed to ensuring product safety, legality and consistency, and to continuously meet therequirements of a nationally recognised standard. Approval is effectively your valid passport – your credentials – to access markets and buyers, letting them know your operation and products fully comply with all safety, legality and quality standards expected by the UK food industry. What is the SALSA Scheme? 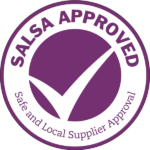 • SALSA is the UK’s Food Safety Certification Scheme – not just an Audit Standard – for small and micro-sized food & drink businesses wishing to gain Approval to supply UK buyers. Membership-based, it is open to any small producer operating within the UK. • SALSA is a ‘not-for-profit’ organisation, founded by the four main trade associations representing the UK food industry: The British Retail Consortium, The Food & Drink Federation, The National Farmers Union and The British Hospitality Association. • Since its launch in 2007, membership has grown year on year. SALSA now has 1,150+ Approved members and 280+ working towards Approval. Since the launch of SALSA plus Beer in 2015, 112 have gained SALSA plus Beer Approval with over 40 working towards it. Is SALSA plus Beer right for my business? SALSA plus Beer certification has been developed to offer small and micro brewers & bottlers a certification standard tailored to scale and systems of their particular operation. It is suitabel for suppliers typically employing 5-50 full-time staff. Who developed the SALSA plus Beer Standard? 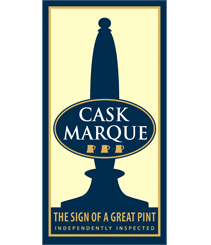 The SALSA plus Beer Standard was developed in association with Cask Marque in 2015 to ensure a quality-assured beer from grain to glass. Key brewing bodies within the industry are consulted to ensure certification provides real commercial benefits to small suppliers. How many UK buyers recognise SALSA plus Beer? Approval is recognised by a growing list of important UK Buyers, both on and off trade. Buyers include Waitrose, Tesco, Lidl, Mitchells and Butlers, Carlsberg, Punch and The Co-op who all endorse the SALSA Scheme and actively use SALSA’s ‘live’ online Buyers’ Directory. Gaining Approval can take up to 3 months from date of payment through to Certification and is largely dependent on the current operating procedures of your business. To help members, the online Users’ Guide offers a step-by-step guide through the audit process. What does the Auditor and the Audit cover? • The audit is an onsite inspection that typically lasts a full day. A SALSA Auditor will audit your operating procedures against the SALSA plus Beer Standard which covers Pre-requisite Controls, HACCP & Management Systems, Documentation, Premises, Legal and Quality requirements. At the end of the inspection, the SALSA Auditor will make a recommendation for Approval or advise on ‘the next step to take’ to SALSA Operations. • A copy of the SALSA plus Beer Standard can be downloaded free of charge from the SALSA website, before joining, for you to assess its value to your business. All 16 SALSA plus Beer Auditors have proven experience, specific training and in-depth knowledge of the brewing sector. SALSA Auditors are very approachable and able to offer valuable guidance and advice on any issues that might arise during the audit process. Certification is designed to be both achievable and affordable. • Option 1: ‘Package Deal’: one year’s Membership plus Audit for £685 + vat. • Option 2: ‘Package Deal Extra’: One year’s membership, audit and a full day’s pre-audit Mentoring for £1055 + vat – of particular value to start-ups and micro breweries. What advice and support is available to Members? • The Scheme offers members a unique range of support services to make certification as straightforward as possible. Achievability, accessibility and affordability are key assurances we offer. What are the main benefits of gaining SALSA plus Beer Approval? Can I speak to someone at SALSA?